Once upon a time, I was strolling in the mall and I saw a beautiful pair of shoes sitting perfectly at the display, showing off how beautiful it is! I had butterflies in my stomach. I had this amazing and weird feeling. Was it love? It was indeed! I had love at first sight. I saw them with my eyes wide open and I knew I needed that beauty in life. That’s how I feel whenever I see a gorgeous pair of shoes. We all have had those moments where you feel the stores are calling you to get inside and buy all the pretty stuff. We are all in a way shopaholics and we have confessed it. But what is it about shoes that is more appealing than anything else? Whenever I go buy clothes, I have a fear whether it will fit me or not, if its going to make me look fat, whether it will suit me or not. I have a ghazillion questions when I buy clothes. I have to think and re-think before buying anything. But whenever I buy a footwear, I don’t have so many questions. If I like it and if the colour suits me, I just give the damn money and take the babies home! This is the main reason why all of us love shoes so much. If we like a pair of shoes, we genuinely like it. We do not have to compromise because it could make us look fat! We do not fear of looking bad or inappropriate. Shoes do not make us raise the question in the mind, “will I get my size?” (well except those people whose feet are enormously large, like my sisters’s). Shoes are available in all shapes and sizes and colours. They do not depress us or leave us with that fear. You enter a shoe store and just end up smiling! That’s the magic a pair of beautiful shoes does. When a pair of shoes can work wonders, then why not buy a hell lot of them and just be happy? Whenever you are sad or depressed, go buy a pair of shoes. Lets call it the ‘SHOE THERAPY’. 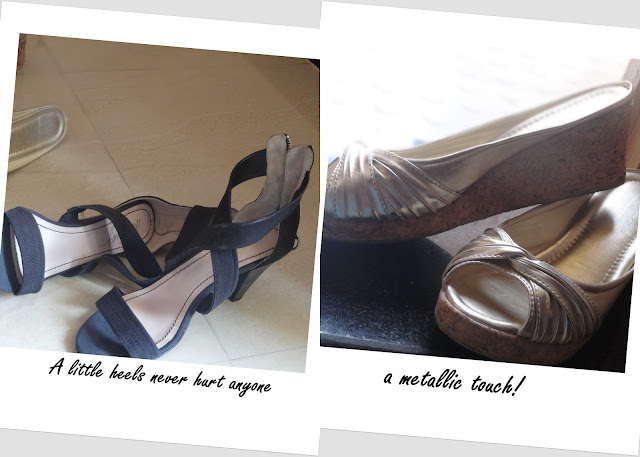 These are few things I personally feel about shoes and why I love them so much. 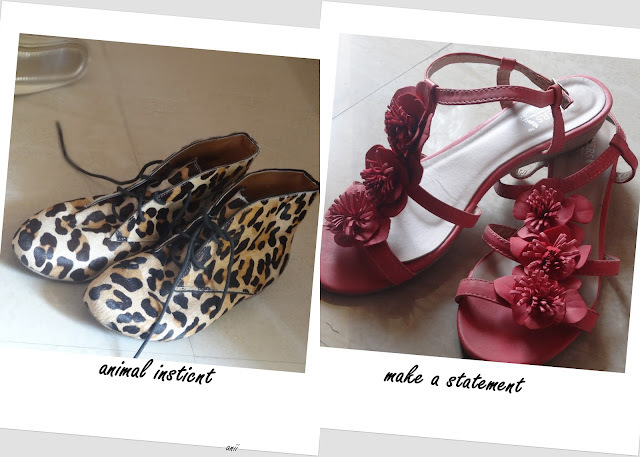 Whats your reason to love gorgeous pair of shoes? I myself own a pretty good amount of shoes and love each of them. I keep them with my clothes in my closet. These are a couple of my really favourite pair of shoes. If I had to run from house and had to pick a few things, these babies would be with me. Disclaimer: The opinion is personal. I haven’t read any article about it or have done any research. This what I personally feel. make your husband read this,he surely will atleast get a hint!